This article was originally written by Peg Melnik and published in The Press Democrat on September 4, 2016. The theme, “Sonoma to Marrakesh,” featuring a live camel weighing more than a ton and a host of belly dancers, set the stage for Sunday’s Sonoma Harvest Wine Auction at Kenwood’s Chateau St. Jean that raised a record $4.6 million. 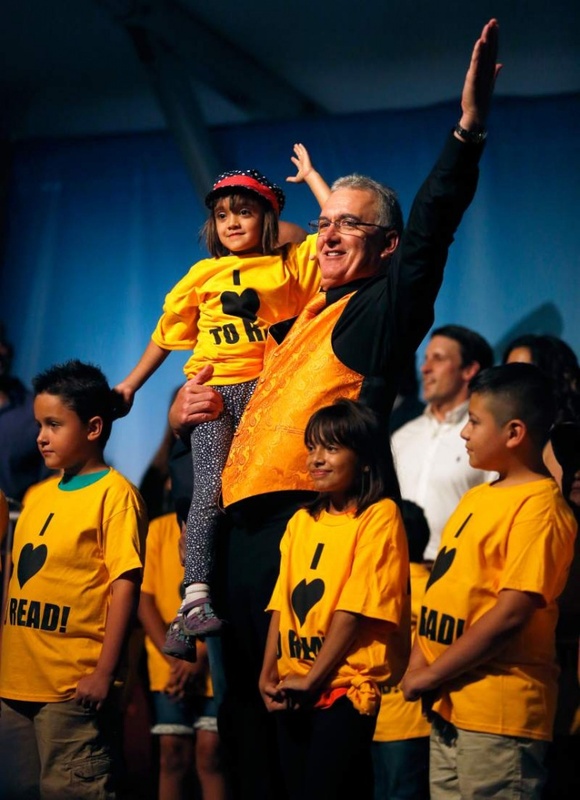 The top group lot of the day among the 650 paddle-holders was “Fund the Future” for children’s literacy at $2.7 million, up from last year’s $1.9 million. Dan Kosta, the auction’s honorary chairman, was the first to donate $250,000 on behalf of the entire team at Sebastopol’s Kosta Browne Winery, as well as friends and supporters of the winery. Others contributing $250,000 included Mary Dewane and Joe Anderson of Santa Rosa’s Benovia Winery, the Gallo Family in honor of the late Margrit Mondavi and the Jackson Banke Family of Jackson Family Wines. When Gina Gallo later took the microphone to make her contribution, she surprised the crowd when she made a tearful request. Mondavi, 91, the second wife of the late wine pioneer Robert Mondavi, died Friday. After a moment of silence, the goodwill bidding continued, and there was even some cross-pollination between wine auctions. Debbie Toler, co chair of the Southwest Florida Wine & Food Fest, contributed to a lot at $65,000, and one lot for $85,000. The $65,000 lot featured 150 large format bottles from Sonoma County vintners, ranging in size between 1.5 to 3 liters. The $85,000 lot featured sailing on a yacht between Nantucket and Newport for three couples, as well as a 12-bottle collection of Benovia wine. The top single lot of the day was actually sold twice for a total of $220,000. It featured two nights in Hollywood with VIP Golden Globe tickets and a private film screening. It also included a five-bottle collection of Buena Vista wine. Lori and Steve Bush, co-owners of Oso restaurant in Sonoma, purchased one of the lots for $110,000. The lots this year were trumped up with travel, according to Maureen Cottingham, co-executive director of Sonoma Wine Country Weekend.